Public works projects surrounding the proposed Obama Presidential Center will cost taxpayers nearly $200 million, according to a report published Saturday. 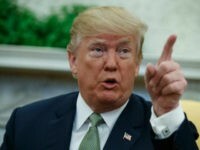 The state of Illinois approved a $224 million budget, allotting $174 million for road work around the presidential center and an additional $50 million to renovate an above-ground railway station two miles away from the center, according to a report from the Washington Examiner. Of the $224 million, nearly $200 million is expected to come from taxpayer funds, the report states. The presidential center, located in the South Side neighborhood of Chicago, has drawn ire from activist groups and residents who say the center would provide limited benefits to the community. In January, more than 100 University of Chicago professors and neighborhood activists signed a letter saying the center would not benefit the surrounding community. The protests from the community came after the Obama Foundation released its blueprint for the proposed presidential center. Around the same time, Obama released images of the proposed presidential center showing a white, modern-looking building surrounded by parkland. A Chicago nonprofit took note of the Obama Foundation’s plans and filed a lawsuit in May seeking to prohibit city agencies from constructing the presidential center, claiming the organizers strayed from its original plan to build a federally controlled presidential library on public parkland. The nonprofit, Protect Our Parks, claimed in the lawsuit that the center was using private parkland for public use. 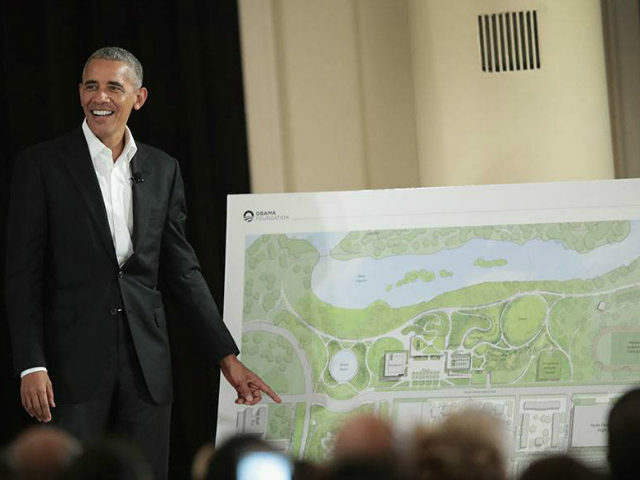 The Obama Foundation announced several months ago that the National Archives and Records Administration would not be in charge of the proposed site on designated historic parkland, adding that the center would not function as a presidential library to house records, manuscripts, and papers from the Obama White House.